The infirmary is already full, when is this gonna stop? 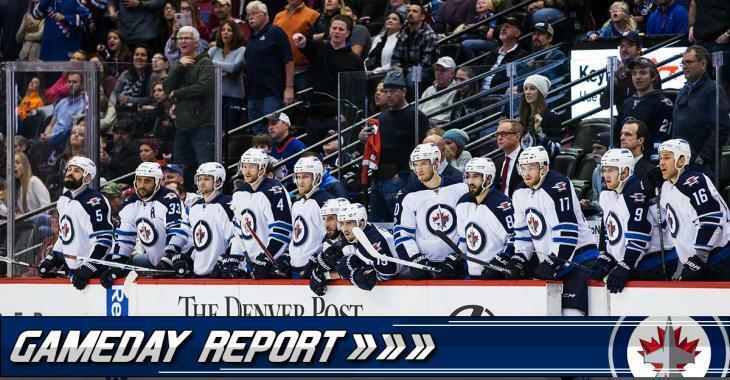 The Winnipeg Jets have placed forward Adam Lowry on the injured reserve, the team announced on Friday. Lowry missed the last three game with an upper-body injury. The team also called up goaltender Michael Hutchison from the Manitoba Moose (AHL) because Steve Mason is dealing with ilness and he won't be able to backup Connor Hellebuyck for tonight's game against the Chicago Blackhawks. Drafted 67th overall by the Jets in 2011, Lowry played 269 games in the NHL so far, registering 83 points and 157 penalty minutes. In 33 games played this season, the 24-year old forward scored eight goals and added six assists for 14 points. Mason, drafted 69th overall by the Columbus Blue Jackets in 2006, signed as a free agent with the Jets last summer. In 474 starts with the Blue Jackets, the Philadelphia Flyers and the Jets, the 29-year old netminder owns a record of 203-183-64, with a 2.70 goal-against average and a .911 save percentage. After 11 starts this season, Mason has a record of 3-6-1 with a 3.52 goal-against average and a .897 save percentage. Hutchinson, 27, was drafted 77th overall by the Boston Bruins in 2008, and he signed with the Jets in 2013. At the AHL level this season, he has a record of 14-2-1 with a 1.94 goal-against average and a .942 save percentage. He started 99 games in the NHL (all with Winnipeg), registering a record of 41-38-11 with a 2.63 goal-against and a .910 save percentage. The Jets were already dealing with injuries to Mark Scheiffele (upper-body) and Brendan Tanev (lower-body injury). They are currently first in the Central division with a record of 26-11-7.